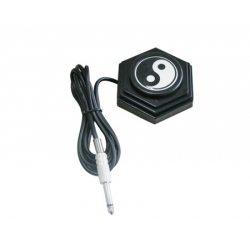 360 degree Tattoo Foot Pedal with Chinese Ying Yang design which indicates "The Universe", in Chinese means the most great words Wushu, Yijing, and ancient government. 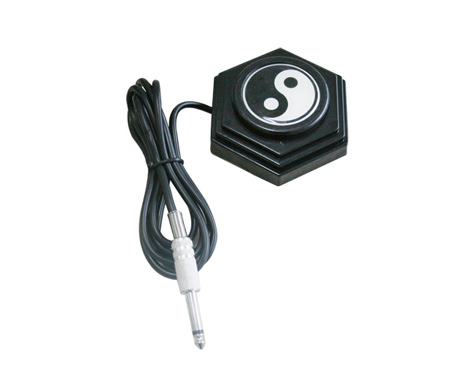 This classic foot pedal has a non-skid base to keep it frpm moving on the floor and is constructed of impact resistant plastic. 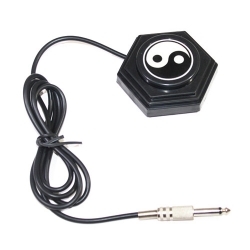 The foot pedal comes with a 6 foot long cord with phono plug.